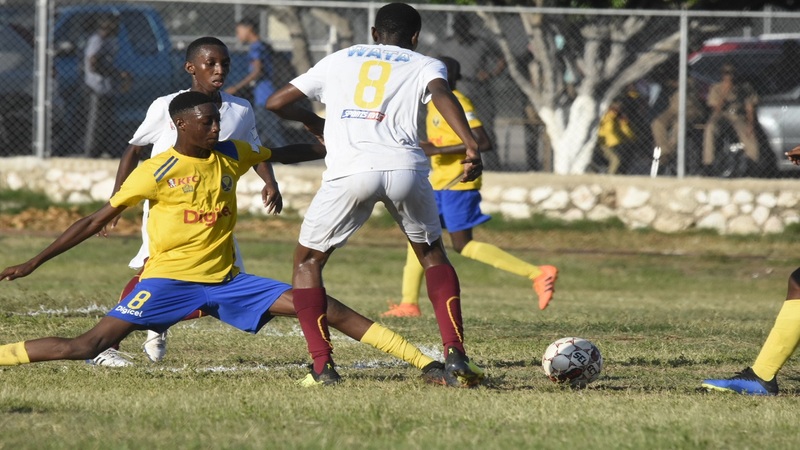 Deshawn Bernard (right) of Wolmer's Boys moves away from Waterford High's Akeem Chaplin during their ISSA/Digicel Manning Cup football match at Heroes Circle on Tuesday, September 11, 2018. (PHOTOS: Marlon Reid). 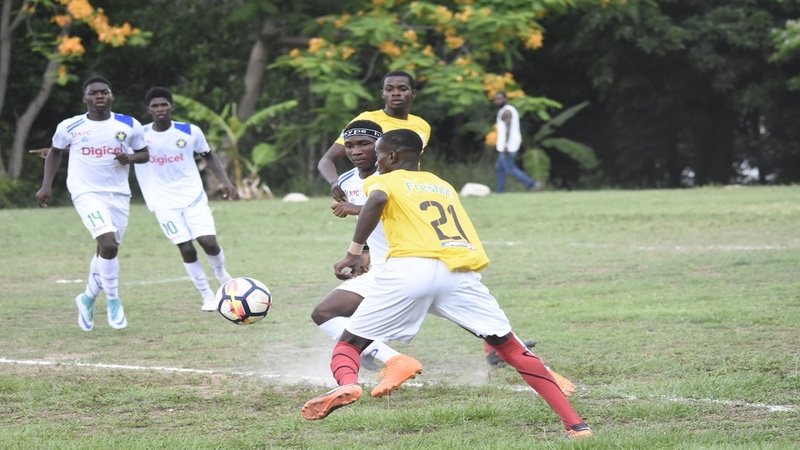 Charlie Smith High and Holy Trinity High secured easy victories on match day three of the 2018 ISSA/Digicel Manning Cup schoolboy football on Tuesday. 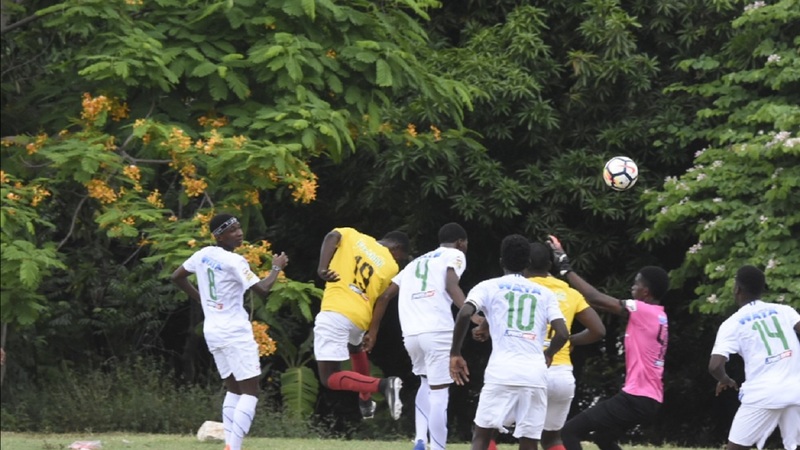 Jerome Waite-coached Charlie Smith defeated Jonathan Grant 4-0 at the Anthony Spaulding Sports Complex to remain at the top of Group C. They are on maximum six points from two games, the same as Camperdown High. However, Charlie Smith are leading courtesy of goal difference. 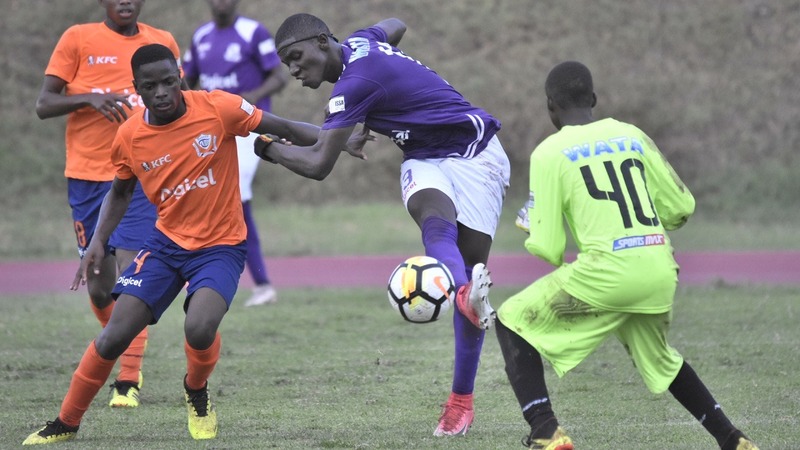 Camperdown High moved to six points as a result of a 1-0 victory over Meadowbrook High at Bellevue. In Group G, Holy Trinity High also secured two straight victory and moved to maximum six points after beating Edith Dalton James 5-1 at Bell/Chung Oval. 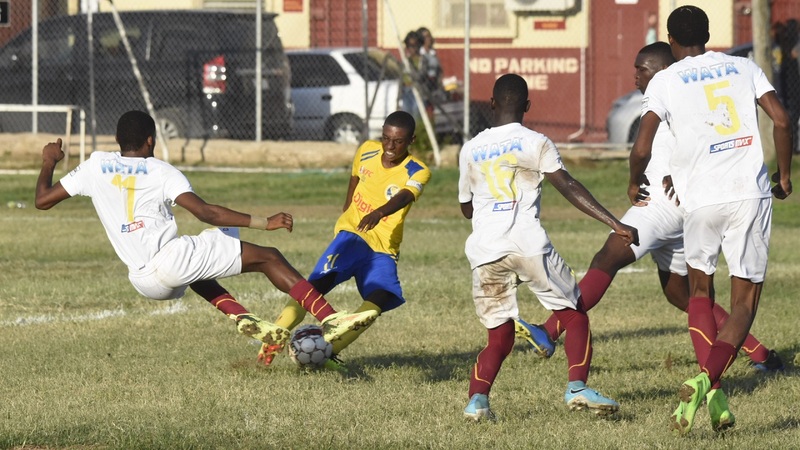 They are leading the group by goal difference over Wolmer's Boys, which defeated Waterford High 2-0 at Heroes Circle.